Automatic deployment of this solution configures the following components and functionality. The AWS CloudFormation template deploys and configures an AWS Lambda function with a scheduled event (cron job) and an AWS Identity and Access Management (IAM) role with fine-grained permissions to access Amazon Virtual Private Cloud (Amazon VPC). 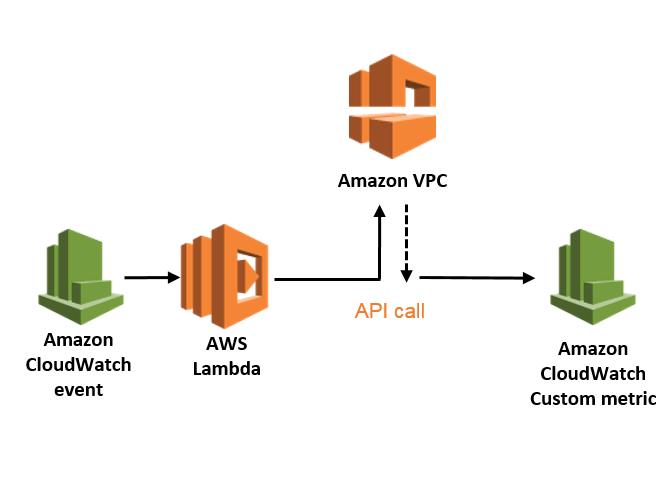 It also configures an Amazon CloudWatch event, and a custom metric that is updated with the status of the VPN connection every time the Lambda function executes.